And it’s consistently good, and I’m pretty happy with it on the whole. Am I doing it wrong somehow? Any suggestions for what I could tweak to get a stronger brew? My cold brew comes out super strong and I do at most a 4 (water):1 (coffee) ratio. I grind 1 lb of medium roast on a coarse setting to 64 oz water. I let it soak for a full 24 hours. My issue is that I don’t get the amazing nutty notes that I get out of some cold brew that I buy (NOT Starbucks. I only taste burnt there). My advice would be to bump up the coffee and the brew time and see if that gets you where you want to be. The amount of ground coffee I can put in is limited by the capacity of the insert in my setup. So there’s no way I could use 1/2 lb. for a quart (to use your proportions). Best I can do is probably bump it up to 4 oz. I make a very strong cold brew anticipating the ice cubes will dilute it a bit. I start with Peet’s major dickinson blend, which i think is darker than the roast you’re using. Through trial and error i also now grind the coffee smaller which made a not insignificant difference- although with the machine you’re using I’m not sure if that will be a problem (i just use a fine sieve). I do 4:1 in a glass jar with a medium fine grind and then filter through a paper filter set in a metal strainer. Maybe try different coffee and a finer grind if the flavor is not what you want it to be? Interesting. I don’t think a finer grind would be a problem with the insert I’m using. I’ve been going for relatively coarse because that’s what everyone I saw recommended (though it seemed counter-intuitive), but I’ll give it a try with a finer grind. My concern about reducing the water is that with the configuration I have, less water means some of the grounds aren’t consistently in contact with the water. Maybe shaking it periodically would help with that, but I don’t know. How much water are you using for the brewing? The method I started with says not to stir or shake - my modification is to add half the water, swirl gently to moisten all the grounds, then add the rest. The grounds end up at the bottom eventually. The method is quite forgiving, so I would go back to what coffee and what grind. 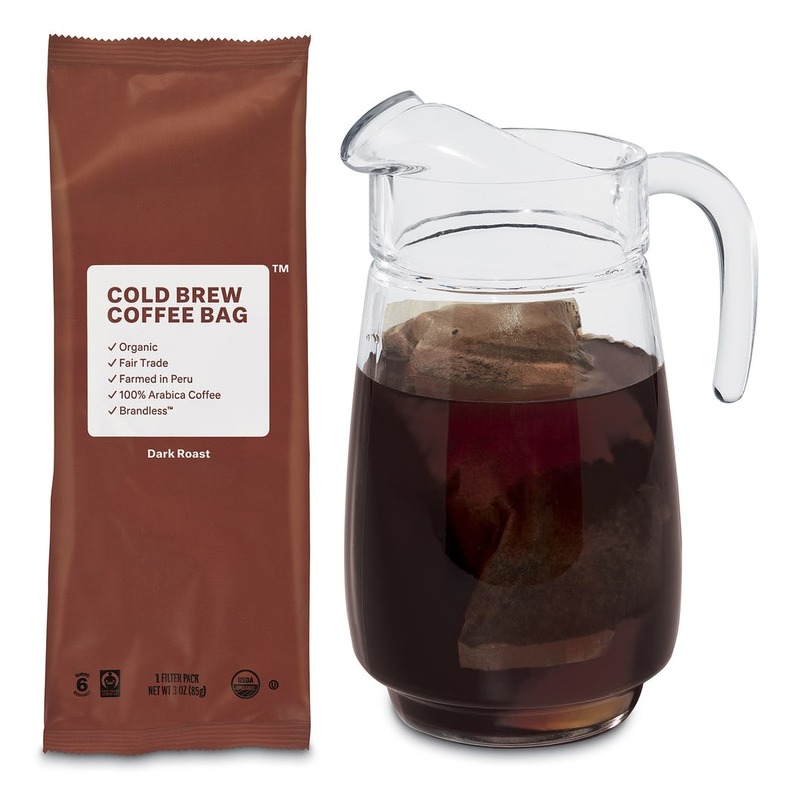 If there’s a coffee shop cold brew you like, ask what beans they are using and try those and see if tastes closer. There’s also one method that starts hot and switches to cold - if it’s the oil based compounds you’re missing - basically start with hot water, and then in a minute or two add cold water and ice to neutralize the heat. If you go to the link I provided, you’ll see what I’m using. There’s a filter insert in which the ground coffee goes; the container is 1 qt., so that’s how much water I use. I use a very unscientific (lazy) method myself- aka dump in coffee grounds, add water, shake and stir, put in the fridge. i just use a big tupperware thing that is now permanently coffee stained and flavored. I just do the inital mixing to get all the grinds wet and then let it be usually 24hrs unless i just forget- which also happens- and it goes longer. Sourced from the mountains of Peru, our specialty cold-pressed coffee makes the absolute best-quality pour. One bag + 24 hours = 6 yummy servings. Eazy-peezy! I buy these, $3 a bag and it takes the guess work out. I recycle the grounds into my garden compost.